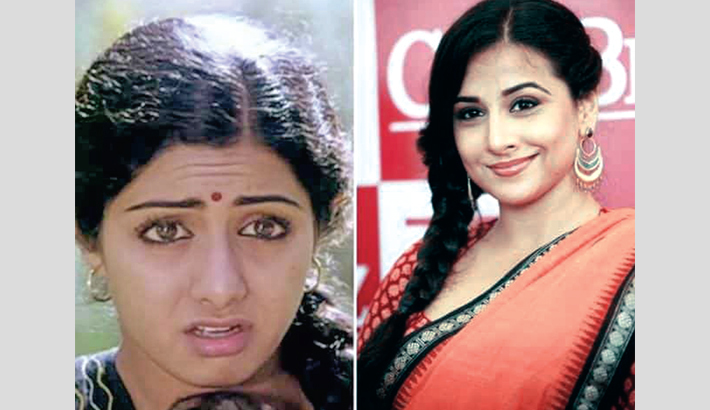 Actress Vidya Balan says she would be open to the idea of essaying role of Sridevi in her biopic as a tribute to the late star, reports Mid-day. When host Komal Nahta asked if she would play the role of the late star if her biography were to be made, she said: “It would require a lot of guts, but as a tribute to Sridevi, I would do it.” She became part of the TV chat show with her sister Priya. Talking on how different both these sisters are, Vidya said: “Priya will internalise what she is going through and won’t share. We don’t even know if she and her husband have fought or made up, whereas you can see it on my face if I have fought with Siddharth or not. The episode will air on Zee Cafe on Sunday.